According to an official release issued by the Bar Council of India, a BCI delegation will meet Law Minister Ravi Shankar Prasad on Friday, and hand him a copy of the memorandum. “However, based on the assurances given by the Government of India, the Bar Council of India is very hopeful that such a situation will not arise and the impasse/deadlock shall be resolved by our Hon’ble Union Law Minister Mr. Ravi Shankar Prasad very soon, as he himself is a very renowned Senior Advocate of the country and he has always supported the Advocates,” the release states. It goes on to list the contentious amendments, and opines that the Bill is, on all counts, “utterly regressive”, and that “its right place is not parliament but a dustbin.” It further reiterates its action plan, which it had proposed earlier this month to oppose the recommendations. The amendments have been proposed by the LCI hastily, without inviting stakeholders’ suggestions. The Amendment Bill shows “ex facie personal bias” of Justice B.S. Chauhan towards the lawyers’ community. The certificate of Practice of an Advocate can be cancelled/ suspended on a complaint about his behavior or conduct made by a Judge or a Judicial Officer. The Bill proposes imposition of fine of Rs. 3 lakh and cost of proceedings in a complaint filed by a litigant against a lawyer. It further provides for payment of compensation up to Rs. 5 lakh to a person aggrieved by a lawyer’s misconduct. It also proposes to impose a fine of Rs. 2 lakh on a lawyer, if he does not cooperate in the disciplinary proceedings. Advocates shall not be able to claim the defence of non-receipt of fees while defending themselves against any proceedings initiated against them. 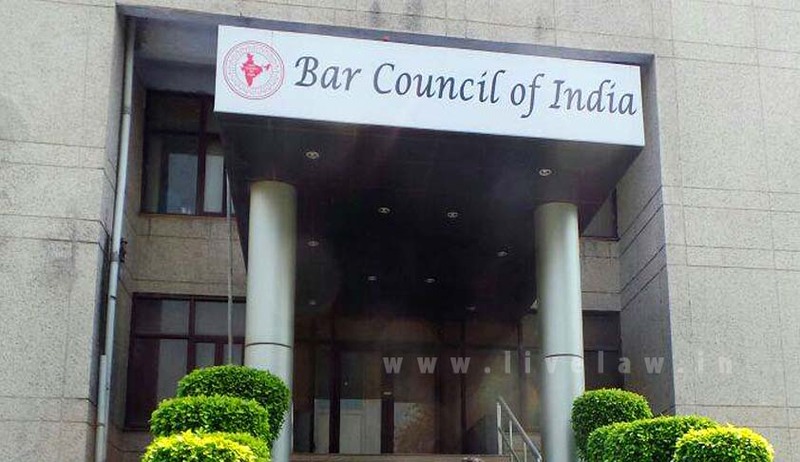 The constitution of the State Bar Council and the Bar Council of India has been changed, in order to destroy their autonomy. The LCI report had made reference to the verdict in the case of Mahipal Singh Rana v. State of Uttar Pradesh, wherein the Apex Court had observed that there is an urgent need to review the provisions of the Advocates Act dealing with regulatory mechanism for the legal profession. The three Judge Bench comprising Justice Anil R. Dave, Justice Kurian Joseph and Justice Adarsh Kumar Goel had then requested the Law Commission and the Centre to take appropriate steps in this regard.